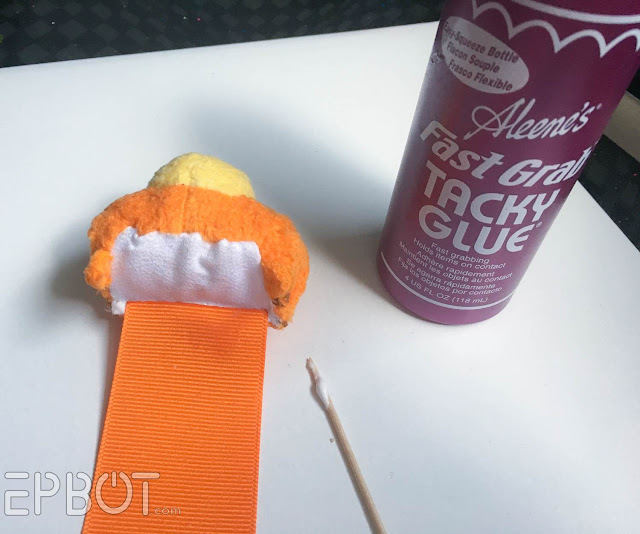 EPBOT: Quick Craft: Turn A Tsum Tsum Into A Bookmark! 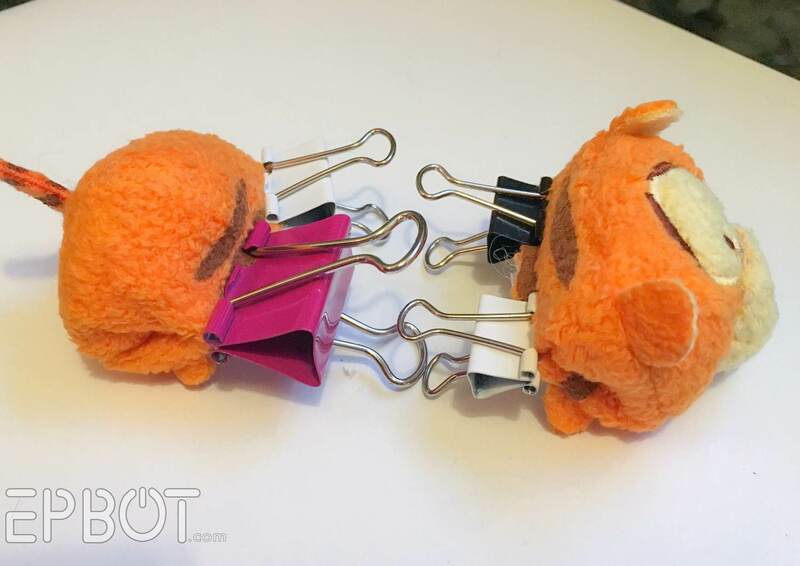 Step 1: Explain to your Tsum this may sting a little. And once that glue dries, you can use scissors to trim off any excess fuzzies. Shorter books will just have some of the ribbon hanging out the back end, though. No biggie. 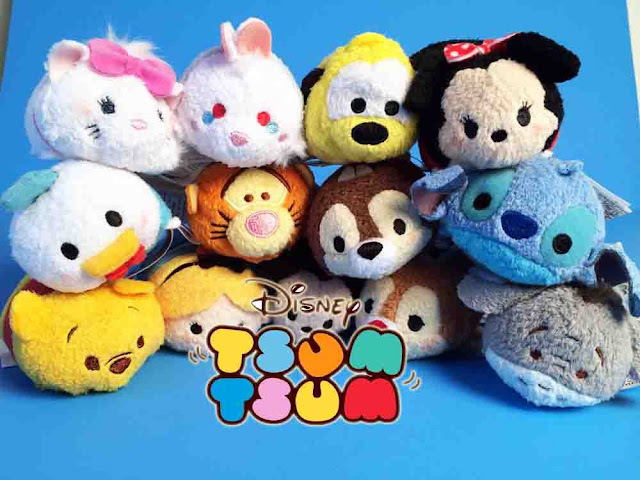 I hope some of you give this a try; I'd love to see a whole shelf of Tsum bookmarks, maybe arranged in rainbow order? (Hint hint?) Or if you have any suggestions for improvements, I'm all ears in the comments. 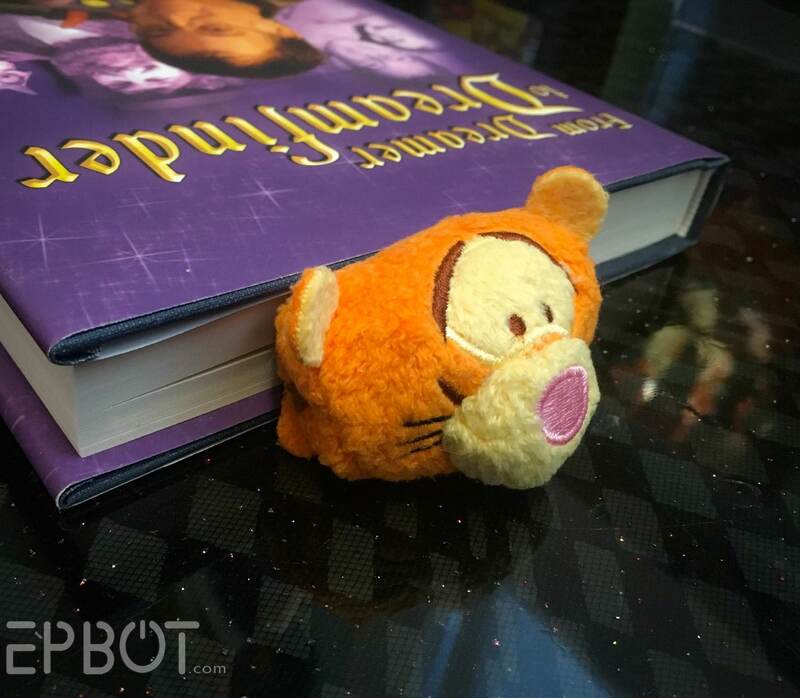 Hmmm... What if you put the Tsum Tsum on a large elasticized ribbon - so it slides around the book. 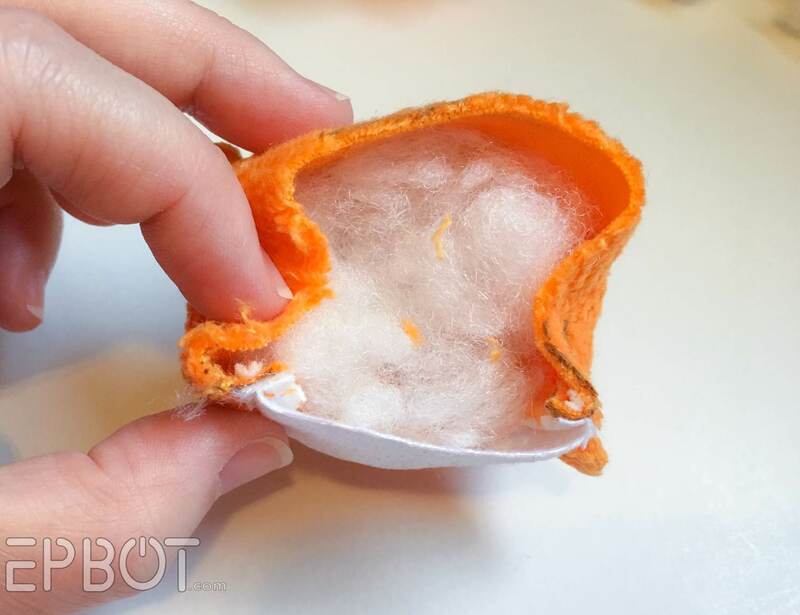 No risk of falling out, and you don't have to cut the poor stuffy. That is awesome. Although I don't think my son has any dupes... yet. Oh, my! 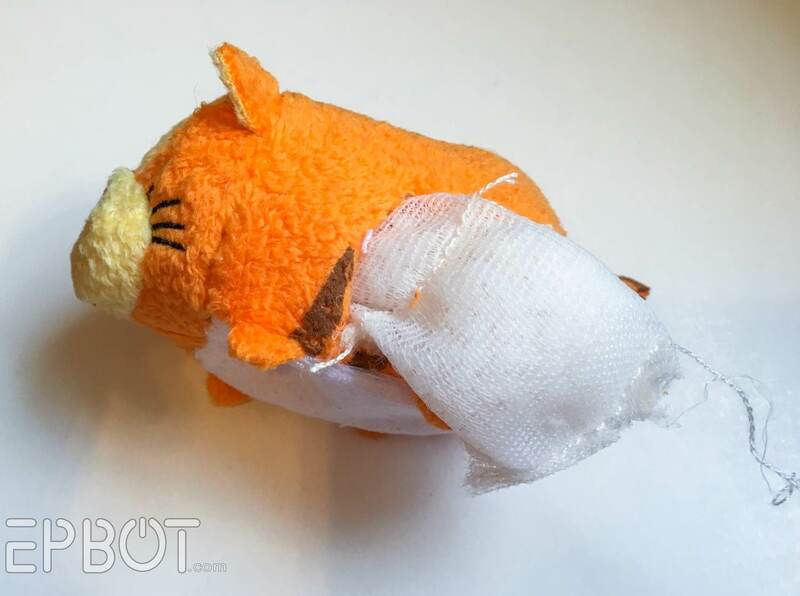 I don't know if I could force myself do that to a poor tsum tsum. 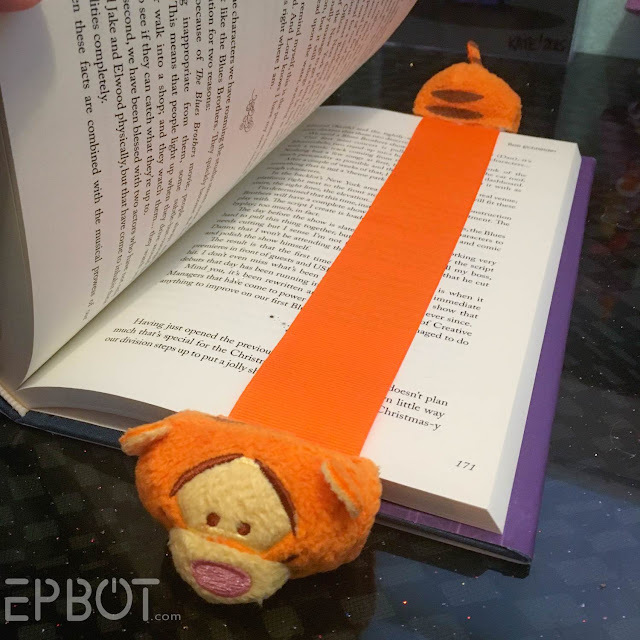 It is a cute bookmark though. Here in Orlando we have Disney clearance outlets that sell them for less than $3 each, so they tend to accumulate. ;) I couldn't bring myself to cut any of my precious Donalds, though - even though I have 4! I want to know about the little Figment standing against the wall in the second picture from the bottom. He's too cute! 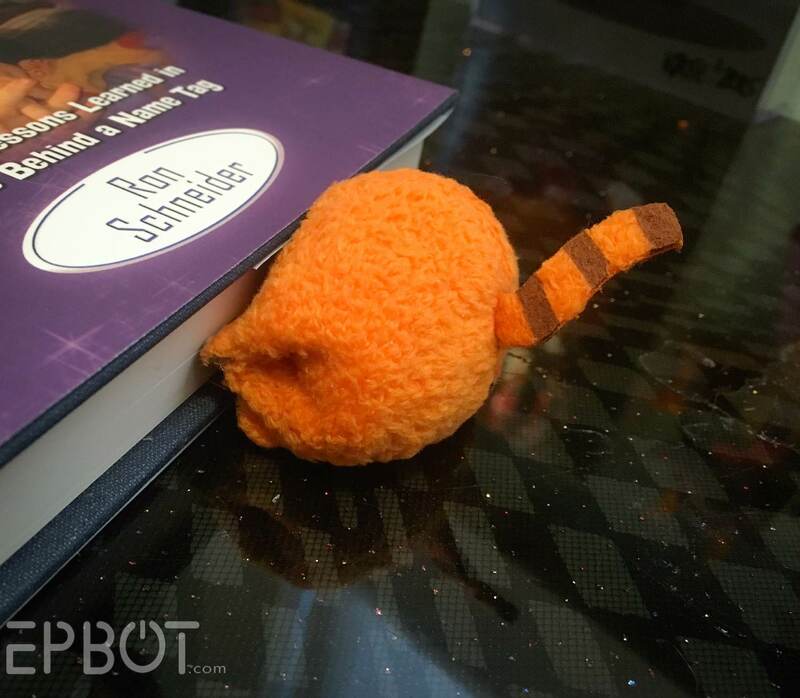 Maybe you could have the 2 Kitties and 1 Doll lady from you tube make you a Figment plush out of a sock.. Then you could turn that into a bookmark? I was watching her school supplies videos yesterday. They are awesome, and help to fight the boredom at work! 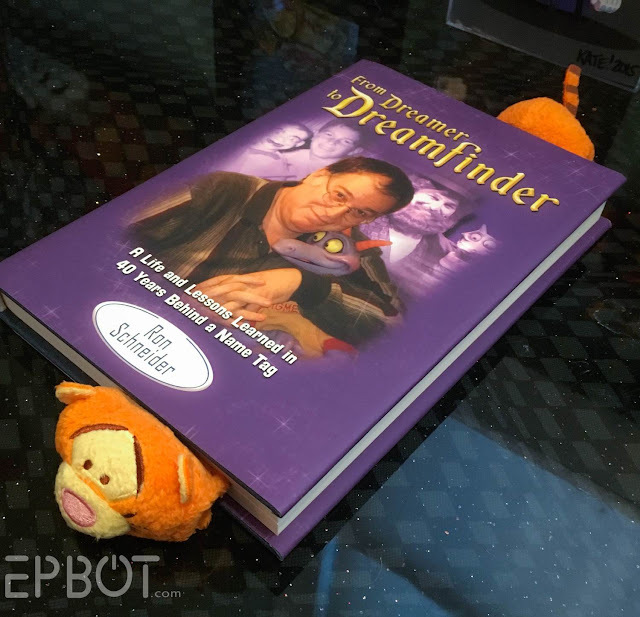 That's the "Nerds Rock" Figment Vinylmation - he's part of a little Figment shrine on that part of my desk, I should share a full pic sometime. Anyway, I've had him for years, but I'm sure you could find one on Ebay! can you imagine how fast a Figment Tsum would sell out?!?!? 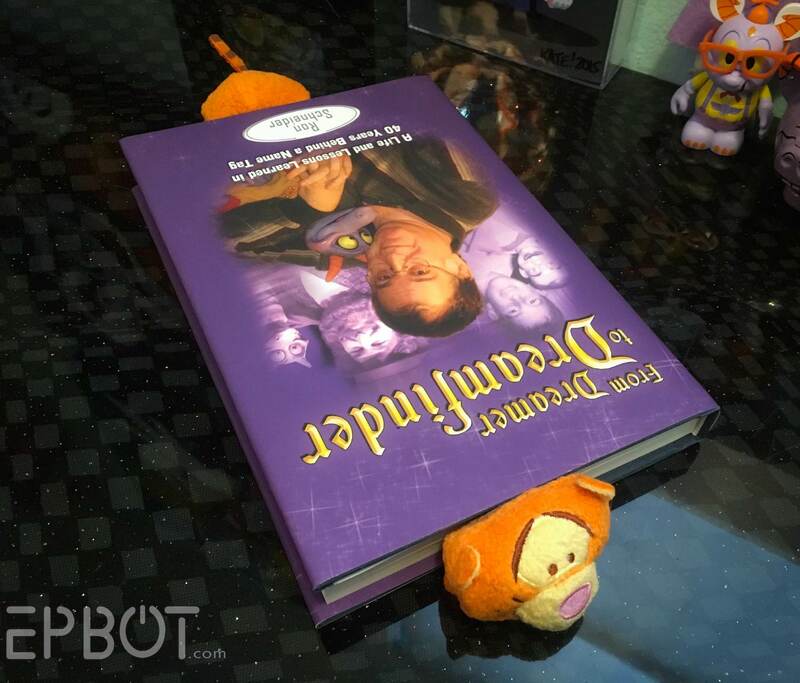 and I thought the Peter Pan Tsums went fast! 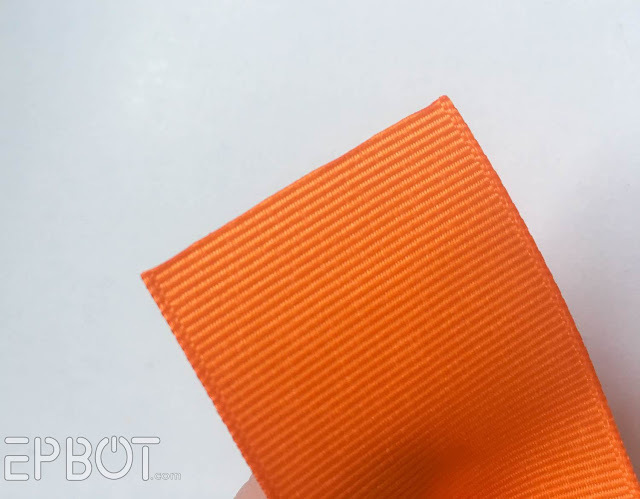 Loooove this idea, and I did consider it, but finding wide elastic in *orange* wasn't happening. :D I'd love to try one, though! 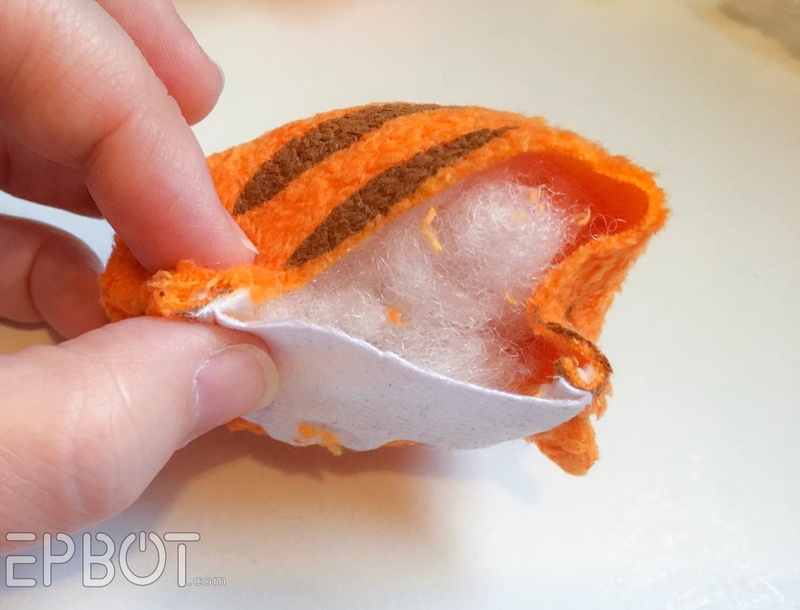 Just be sure you sew it if you go the elastic route, since that's putting a lot of strain on the seam. I love it! I would hand sew it just so it lasts longer. But then I'm more comfortable with a needle than I am with glue. 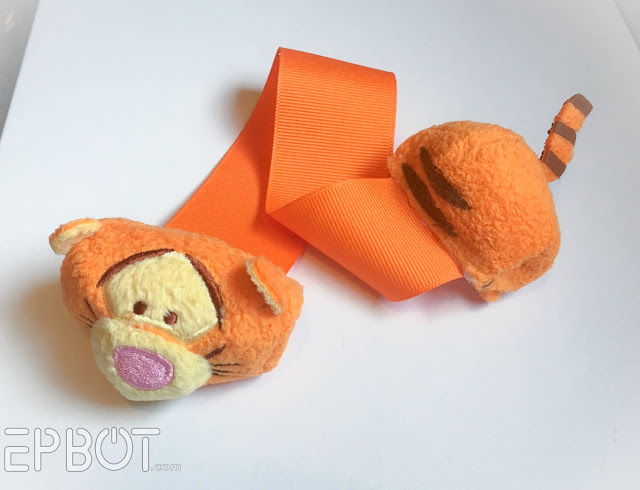 I really did *try* to hand sew it - 3 times! 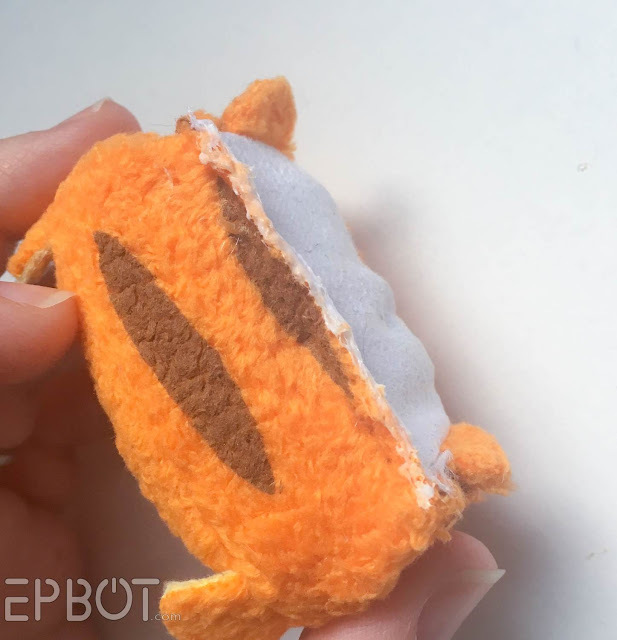 - but I am SO BAD, I had to rip it out each time, because it looked awful. I'm the world's worst with thread, though, so I know you guys could rock it. 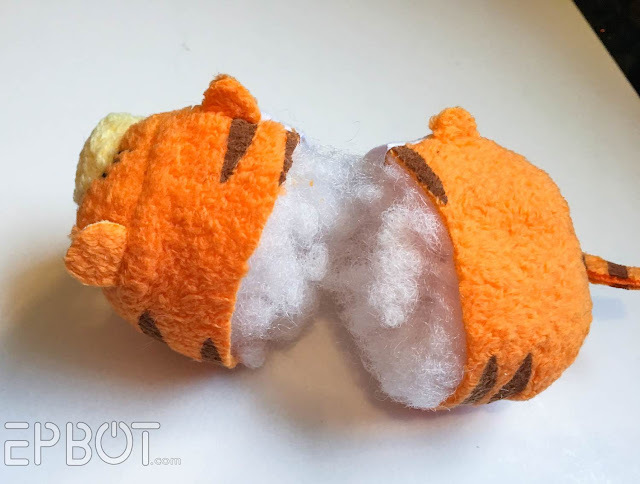 Maybe fully de-stuffing it, sewing it most of the way up and then re-stuffing through a smaller opening would work? Brilliant! These will be making their way into my books soon. Tiggers are made with springs!! If polyester ribbon is anything like paracord,then using the bottom of the flame (the part that looks blue or white rather than orange or yellow) to melt the edge should work without burning/changing the color. Seriously, fun idea. Excited to try this one out! Hay! 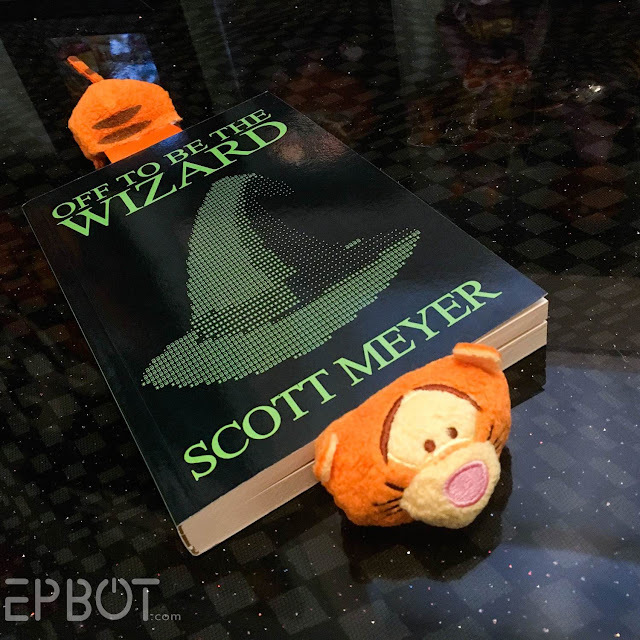 Scott Meyer's book! I love his comic Basic Instructions. Scott's a friend, and yes, I'm bragging. :D I'm gutted he and Missy moved away; they're the best kind of people, and he always let me proof-read his books before then went to the publisher. Too cute! Tigger looks very proud of his new job. I love the explain that this will sting step! You mean your tsum tsum's don't get stolen by the cats and hidden all over the house like a cat toy? Just me? That's what happened to mine, too! 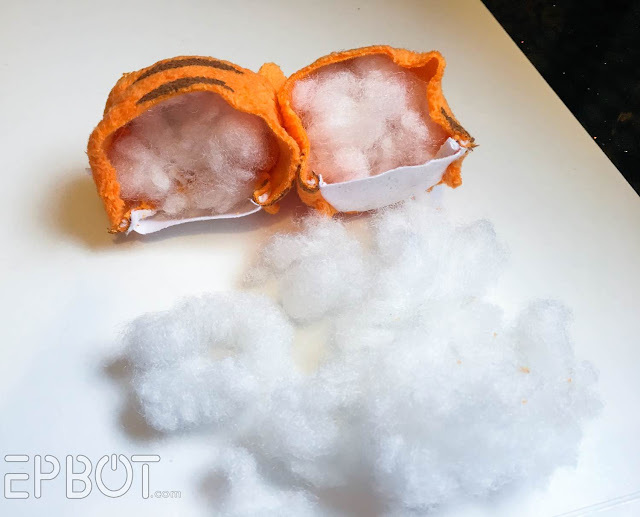 One cat loves to play with them until he gets a hole in it, and then he rips out all the stuffing and spreads it all over the house. It's horrifying! 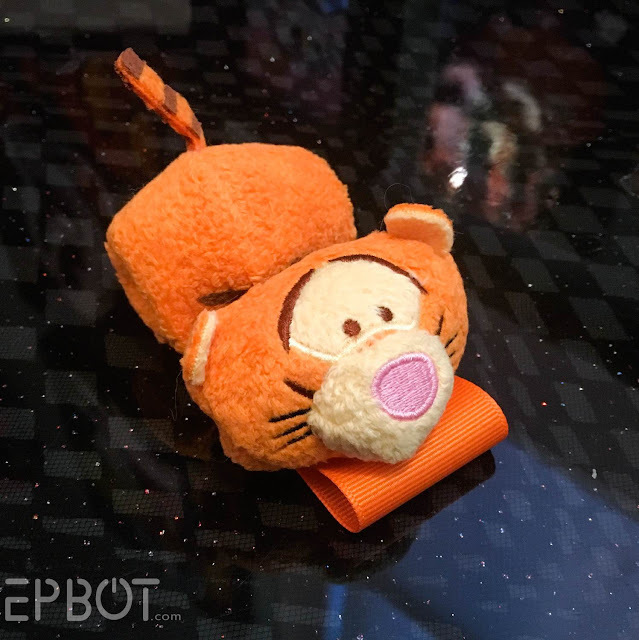 Couldn't you just glue the strip into the seam you glued together on the tsum tsum instead of tacking it on afterwards? Or would that make the bond less stable? This was my thought as well. I think as long as you glued both sides of the ribbon, it shouldn't be any less stable. 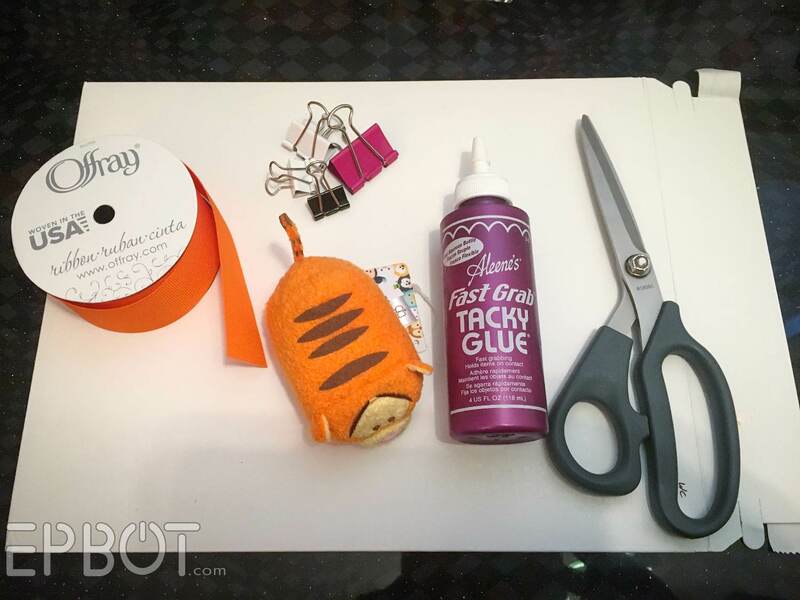 More fiddly to get it all in the right place, but you wouldn't have to worry about fraying. I may be slightly traumatised by this post. I don't think I could ever cut up a Tsum Tsum. They're just too adorable. 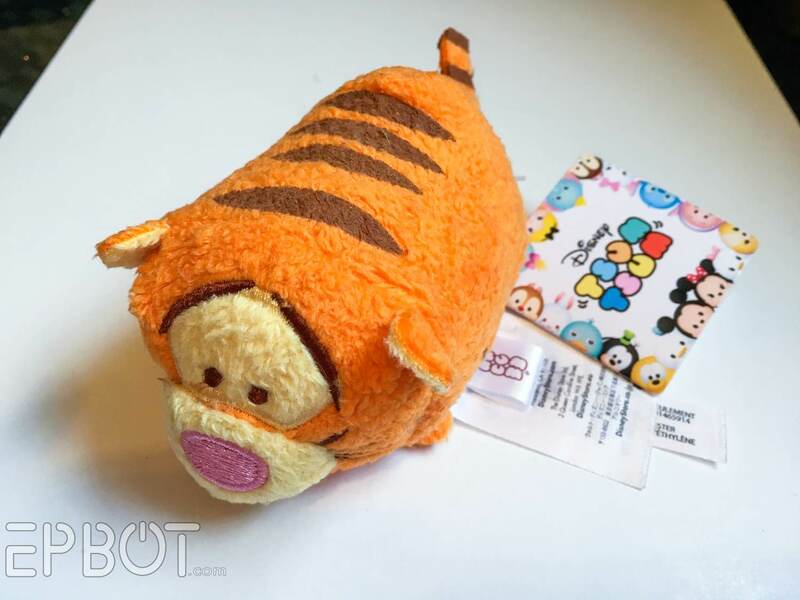 It probably didn't help that the only one I own just so happens to be that exact Tigger Tsum Tsum...well, almost exact. 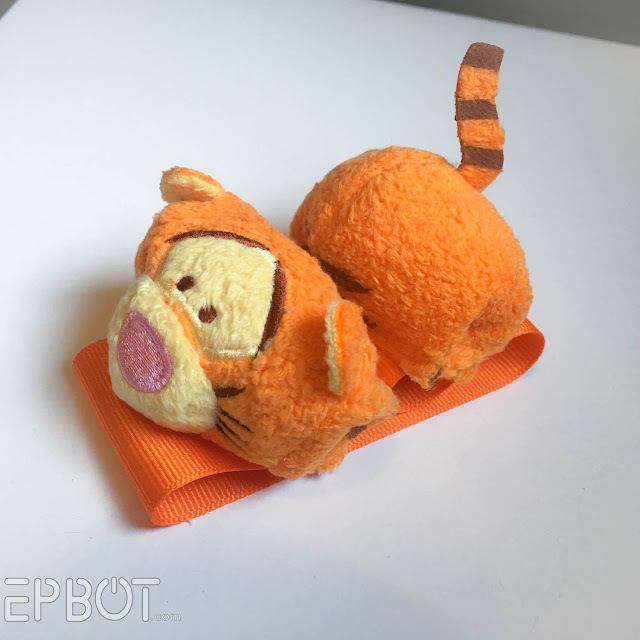 My Tigger only ever had one ear...which somehow made him even cuter. you could also glue a rare earth magnet to either side so it will stay together when not in use. This is SO cute! 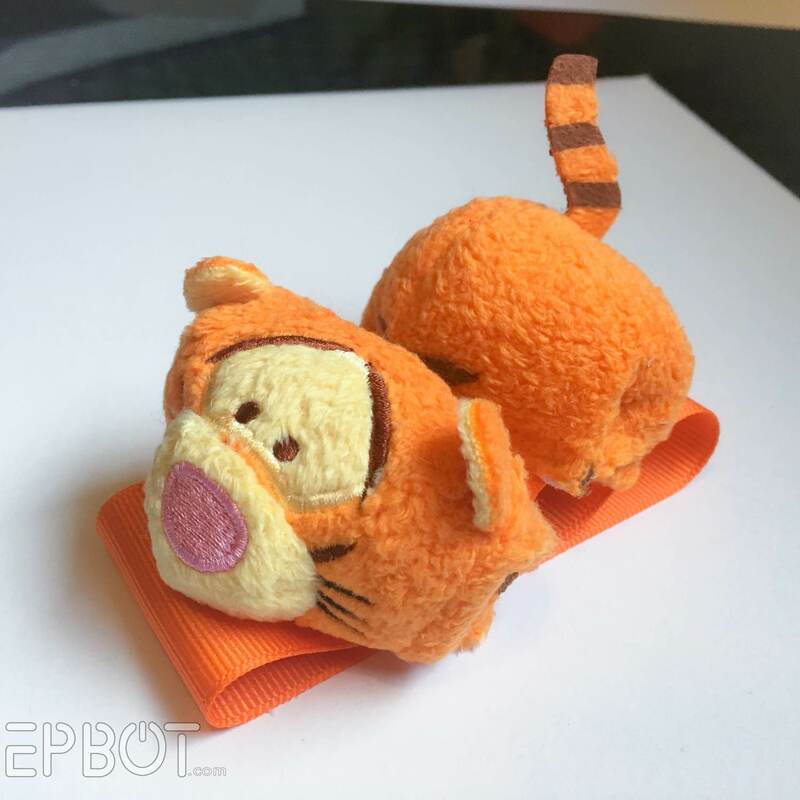 I feel the same away about Tsum Tsums. I have a million on my desk at work but they just sit there. I don't know why I expect them to do something.